Custom-made girls Katarina Kitty cat costume. 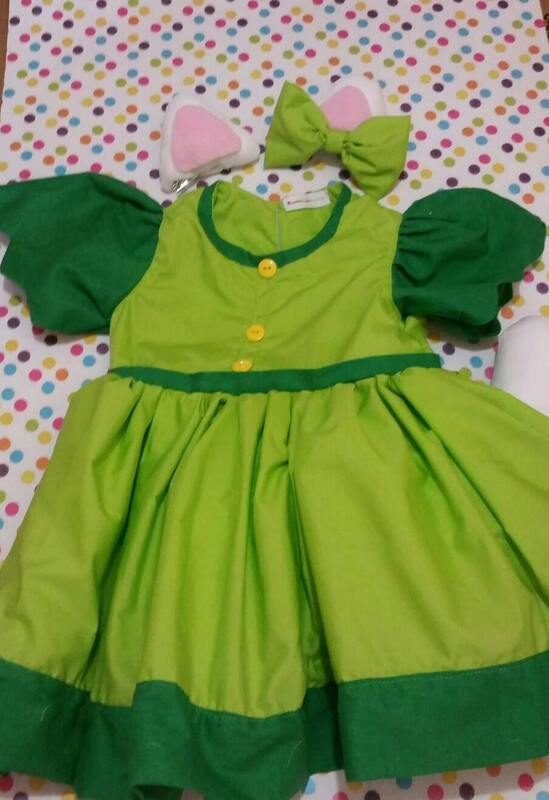 Includes lime color dress with green accents, white clip on cat ears with green bow, and white cat tail. Beautiful costume,great attention to detail! Thank you! My daughter and I both loved her Katerina dress! It was made very well, I couldn’t be happier! Thank you! Great quality! Took a little bit longer than I expected to ship because the post office couldn’t find my order but I contacted the seller. The seller was very responsive and provided excellent customer service. It Arrived shortly after.